Tackle Industries Muskie Tackle Sale on Now! Chaos Tackle Assault Sticks in Stock at 5/0 Sports! Gambler Lures "Gear Up Boxes" Now Available in Canada! 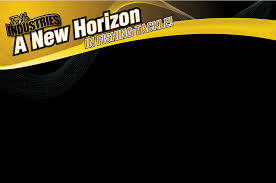 Zman Fishing Now Available at 5/0 Sports! RS Nets Now in Stock! Lake Fork "Frog Tail" Hooks Now in Stock! Stealth Tackle Now Available at 5/0 Sports! Johnston Lure Company Toothaches Now Available! New Tackle Industries Vexan Bass & Walleye Rods now Available at 5/0 Sports! The New Tackle Industries 9' 6 ", 10', and 10' 6" Muskie Rods now in stock at 5/0 Sports! Lake Fork Trophy Lures Now Available at 5/0 Sports! Kamooki Smart Fish Now Available at 5/0 Sports! 5/0 Sports Presents: Gary Dobyns Rods & Rigs - "Nail'em with the Senko"
KVD's Top Strike King Crank Bait Colours! Getting Ready for Muskie Season? Select Tackle Industries Muskie Tackle Products on Sale Now! See "On Sale" Section under Product Catagories for details.